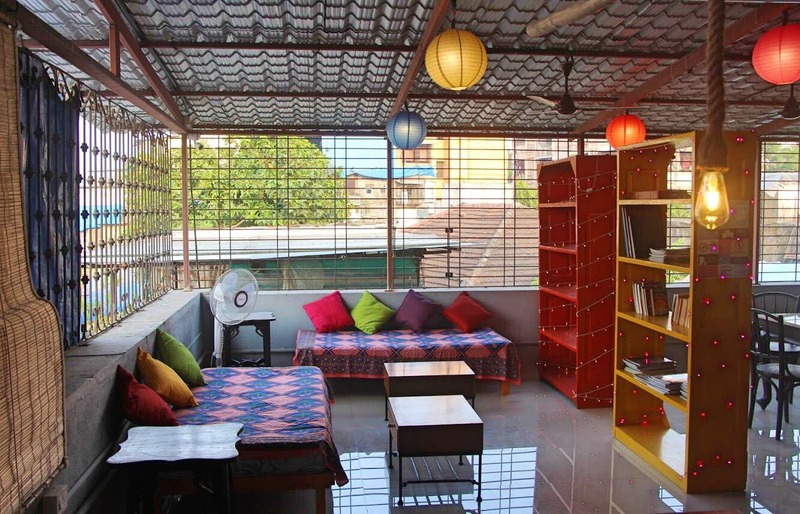 Cohostel, a hip and vibrant hostel has been set up in the heart of Bandra on Chapel Road. It's at about a 4-minute walk from Bandstand. The hostel has six dorms - each with six beds and an en-suite washroom. One is an all-female dorm, and the other five are mixed dorms. As the hostel is themed around Bandra, each dorm is named after a Bandra village. The bunks have been thoughtfully designed; they are a lavish 3" wide, host a 6" mattress, premium linen, and reading lights. There are also private lockers to keep your backpacks. A complimentary breakfast is served to the guests on the bright and spacious rooftop. There's an Indian speciality of the day served with the regular all-you-can-eat spread. Benches, colourful mattresses, and fairy lights await you here, as does a library, carrom table, and board games. And if you're up to it, you can also cook yourself a meal at the shared kitchen. The dorms are priced between INR 799 and INR 999 inclusive of all taxes, breakfast, and Wi-Fi.